BELLBROOK — The Bellbrook Golden Eagles varsity runners competed in the Tiffin Cross Country Carnival, while the rest of the team competed Sept. 8 at the Troy Invitational, and several strong times were turned in. Meet results can be found at finishtiming.com or through Baumspage.com . Despite the rainy and muddy conditions, many solid efforts on both teams at Troy. Trevor Bowers led the boys, posting an 18:01 time on the sloppy course. Ally Jiovani led the girls, racing to a 22:01 finish. There was as slight accidental course modification during the Boys Open race. The Boys Open race was short by .23 miles. The official under the bridge accidentally had the boys turn on the junior high course on the second loop on the flood plain. The correction in terms of race distance was to be listed on the official FinishTiming results, Bellbrook coach Mike Baumer said. So the coaching staff will modify for our records of results. Baumer was adjusting the runner’s times anywhere from 90 seconds to two minutes per athlete based on their pace..
Tiffin was not as wet as in Troy. The girls started off the weekend finishing a very respectable fourth in a meet Baumer termed as a ‘mini State meet.’ Averie Faulkner paced the girls, finishing in 14th overall in a time of 19:34.6. Elise Kemper was close behind in 20th place running at 19:54.9. The top five girls finished within 1:02 of each other. The boys raced in the Division I B race and recorded their highest finish in that race, finishing second. Maximus Bretland was driving to the finish and basically ran out of real estate as he strived to catch Zane Reeb from St. Xavier. Bretland finished second overall in a time of 17:04, only 0.6 of a second out of first place. Clay Cavanaugh finished 10th overall, running 17:22. Bryce Levine had a shoe issue, but managed to finish 17th overall while running the final two miles of the race carrying his shoe with his race chip on it. Just 56 seconds separating Bellbrook’s boys top 5. 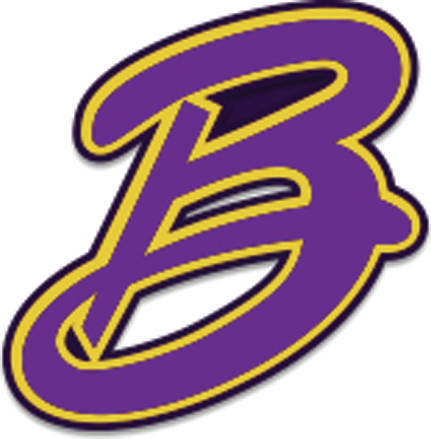 Bellbrook is scheduled to compete in Saturday’s Sept. 15 Friendship Invitational cross country meet, which will be held at Cedarville University’s Elvin R. King cross country course. Information was provided by Bellbrook coach Mike Baumer.